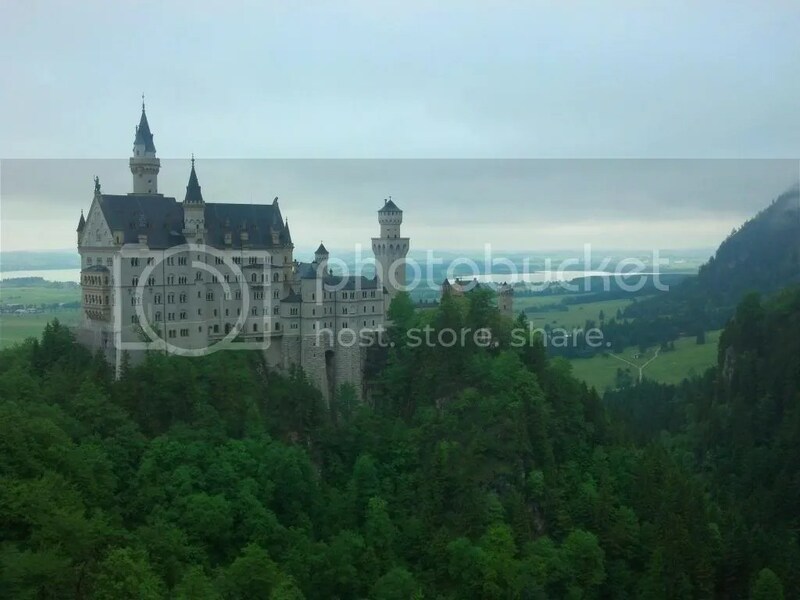 Posted by mjmaurer7 in Travel Log. I’m finally on my way back to Barcelona. I loved every second of the trip, but a week of constant travel is very tiring. This half of the trip was more experiencing culture than sightseeing. It started off in Zurich. There was nothing particularly interesting in the city itself except maybe the people. One thing that stuck out was an almost complete lack of crosswalks. Pedestrians pretty much weave in between the trams and the cars to get where they are going. Plus, the sidewalks sometimes blend into actually roads, making the situation more difficult. On the more serious side of things, on a subway ride in Zurich, we were stopped by the metro police because we no passports to go along with our eurail passes. Thankfully, we were staying with my friend’s uncle, and he was able to bring our passes to the next stop. They had four officers wait with us at the stop along with three security personnel. It was incredibly awkward, and I apologized in every language I knew afterward. Her uncle later told us that running away from the police is pretty common, thus the extra security. Speaking of the people in Switzerland, I happened to be taking a train to Zurich by myself and I had a great conversation with three swiss people. We started talking after they heard me speak English. Two of them were a couple headed to a birthday party, and the third was headed to a business meeting. After talking about some great places to go in Switzerland, the topic changed to America. Everyone there had been, and they said they found people in America nicer than those in Europe. The business woman (her boss happened to be from Kentucky) did say that the American system of production could use some work. According to her, Americans prefer the “quick and dirty” method of quickly producing a product and making improvements each time. The Swiss prefer to do it right the first time no matter how long it takes. Another thing I noticed was that the birthday cards all started off “Happy Birthday to you!” I was very surprised about the English, and asked them about it. Apparently it is a very common way to say happy birthday, and it was the first time I realized how prevalent English was in other cultures. At the end of the trip, the couple gave me their email, phone, and address in Switzerland, along with a beer they were taking to the birthday party. I don’t plan on actually drinking the beer because I think it would be funnier if I take pictures with the beer around Europe and send the pictures back to them. I will post progress pictures. The next stop of the trip was Brussels, where we met up with a bunch of other people from the Barcelona program. The stay was for two days, and it consisted mainly of eating. Brussels’ food is phenomenal. 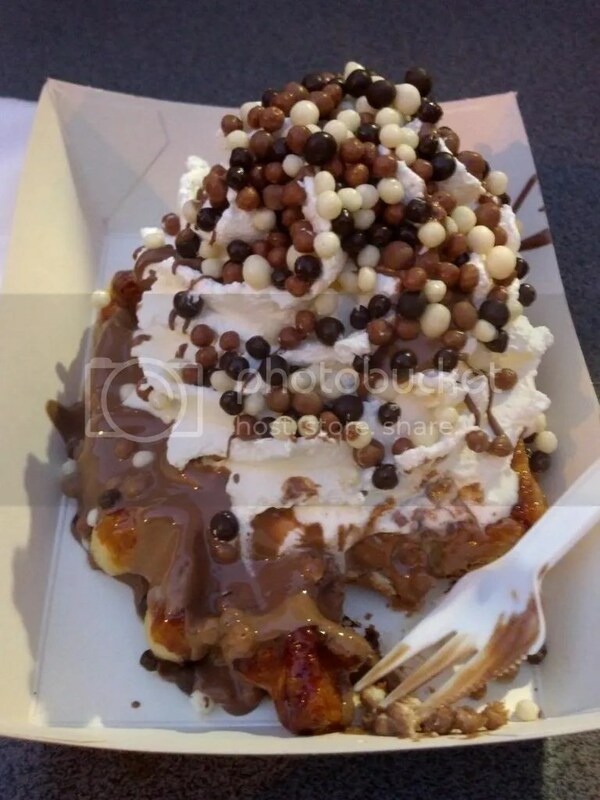 I must have had three waffles, and it didn’t help that our hostel was right next to a chocolate factory. It was my first time staying at a hostel, and I have to say I’m a big fan. It lets you meet people from all over, the only problem is the showers. You have to hold down a button to get water drizzled over your head. I am so glad a got a haircut beforehand. 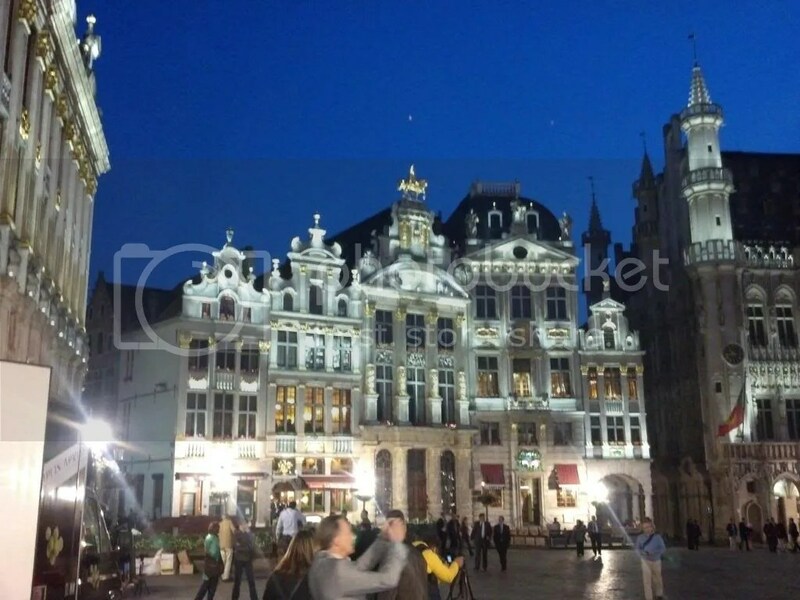 One last thing about Brussels, the grand plaza is beautiful at night, because the biggest tower starts to change colors. After Brussels came Amsterdam, still with the whole group. Maybe it was because our hostel was a minute from the red light district, but Amsterdam came off as a very sketchy city. I never really felt in danger, but there is just a lot there that we were not used to. The red light district was more sad than interesting, but highlights include the Anne Frank House, the Van Gogh Museum, and the IAmsterdam sign. Next, it was on to Munich with just the two of us. Our entire first day in Munich was spent at old castles in the country. Even though the weather was bad, the castles were absolutely beautiful. Also, there were a lot of interesting facts from that day. For instance, the king who built the castles was gay and had trouble dealing with the situation, so he spend a lot of time in seclusion (of course no one knew he was gay until years later in his journals). When we got back to Munich, we fell asleep almost immediately (we were pretty tired by this point). The next morning (this morning) we headed for a German Beer Garden. Even though I have never lived in Germany, I felt some connection to the atmosphere because I have a very German family and name (that sounds odd but it was a weird feeling). At the hall, there were huge pretzels, meat everywhere, and massive glasses of beer. We stayed for a while before we had to depart to catch our last train, where I am now. And so ends my weeklong break. The second half of the trip includes a lot more travel, so these posts will hopefully stay interesting. Until next time! 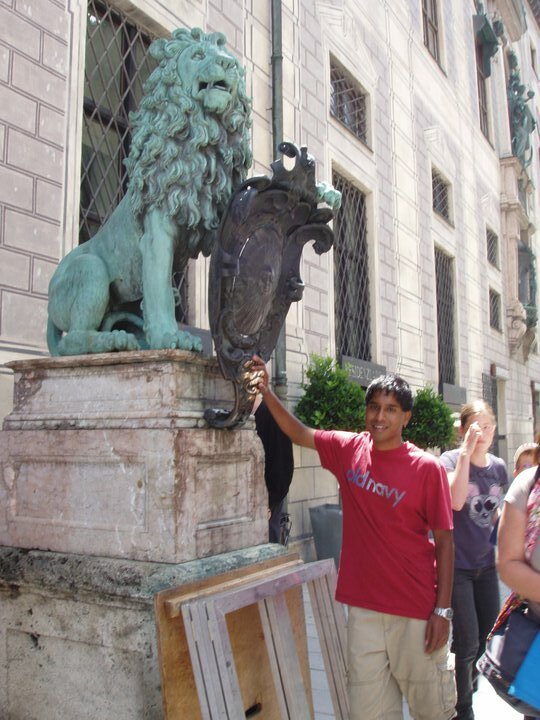 After Venice, Munich was a welcome relief. A very modern city (mainly on account of the handsome bombing job the Allied Forces did in World War II), Munich was easy to navigate, had a distinctly Bavarian air about it, and gave me numerous opportunities to practice my fake German (mainly consisting of compounding long strings of words and adding “das” or “die” or “der” to the front). Bavaria is home to many cultural commodities of our global community, including the Bavarian Motor Works (BMW, though I think I saw more Volkswagens), large pretzels (yum! ), cuckoo clocks, and the delectable Haribo gummy bears. As a nice house warming gift, the hotel gave every resident a nice little packet of Haribo gummy bears on their pillows, that is, everybody except the residents of my room. To say I was angry is a bit of an understatement, so I’m still pretty bitter about that. But, alas, Munich. In what was probably an effort to validate all existing stereotypes about Munich, our art and music lectures were held in a beer hall. Like a Starbucks in the United States, beer halls and gardens (and whatever other assemblage they come in) can be found in densities of at least one every 200 meters. I think this gave a few of the students too many bad ideas. After our first set of lectures, we ventured across town in the rain (now accepted as a will-happen on any occasion) to the Glyptothek, a museum housing Greek and Roman antiquities, or, more simply, an old sculptures museum. There were some very interesting sculptures and mosaics there including statues from the pediment of a Greek temple and a gallery of marble heads awkwardly staring at the museum guest as he or she entered that particular hall. 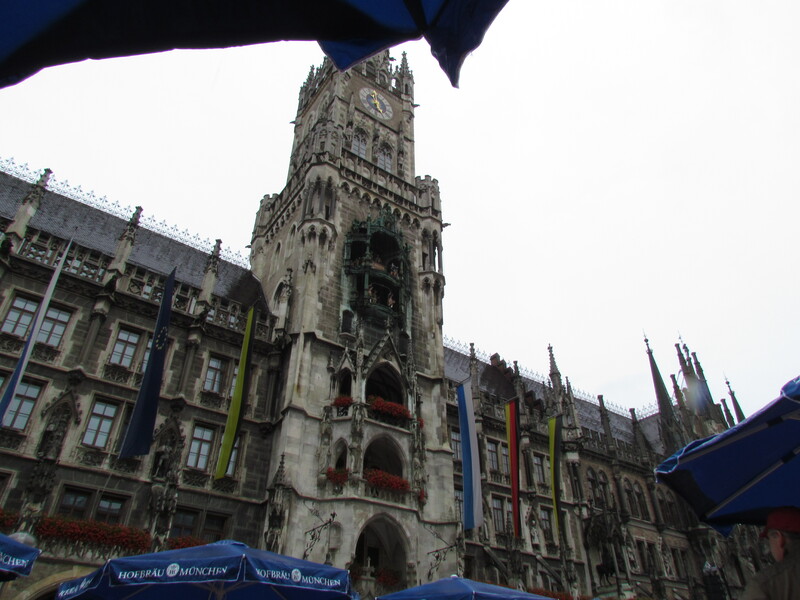 We had the rest of the day off, so I walked to the main city square where the city hall has a colossal cuckoo clock tower fondly known as the Glockenspiel. After standing in the rain to watch the clock come alive on the hour (for a whole ten minutes, too! ), I wandered into the souvenir shops where my hopes of acquisitioning a much more modestly-sized cuckoo clock was shot out of the sky with the great multitude of consecutive digits on the price tag (100€, 500€, 1000€, 1500€, etc.). Similarly my hopes to acquisition a Germany men’s national football (real football, not that American game) team (a.k.a. the best in the world) jersey were brought down by the price tags. Fortunately, a bag of five giant pretzels only cost 1.19€. The next day, our art adventures leaped forward a couple millennia to the Alte Pinakothek, a museum filled with lots of non-ancient (post-1400), non-modern artworks (pre-1900). At this point, it is difficult to say anything exciting about an art museum since I’ve already recounted several of these adventures, so I will refrain from any unnecessary commentary. Later that day, we were given the opportunity to visit the site of the Dachau concentration camp, one of the most infamous Nazi camps in World War II for what happened there. This was made especially surreal by the fact that earlier in the day I had walked past the building that was the founding place of the Nationalist Socialist German Workers Party (the Nazi Party). We saw the facilities were the Nazis’ prisoners lived and often died. I can remember feeling and overwhelming sadness and anger that something so horrible could ever be allowed to happen, especially in an otherwise civilized nation. 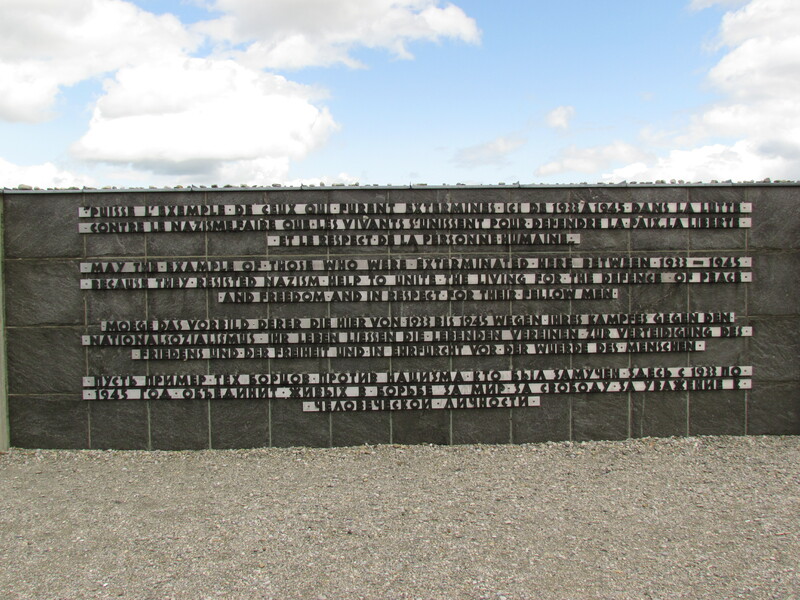 Even so, Dachau as it exists today serves as a fitting tribute to a regrettable period in our human history, to the lives that were lost because of that, and the humanity we retain despite the strife. ^Click up there to enlarge! For the two days we spent in Munich, I feel that we experienced a lot of Germany. Still, there was more I wanted to do. Sources tell me that a certain Deutsches Museum in Munich has a large collection of material pertaining to the great Wernher von Braun. (For those of you who aren’t aware, von Braun = my hero.) I guess Munich will just have to be one of those places I go back to at some point in my life. I’m already several cities behind my own schedule, so you’ll probably hear about Prague tomorrow. Until then, adieu! Posted by Senthuran in Travel Log. I spent this past weekend in Munich, Germany. It was my first overnighter on a couchette and I have found that I can’t sleep on couchettes to say the least. After getting maybe 2 hours of sleep we pulled into cold and rainy Munich. My travel buddy Andy, was able to arrange a free hostel courtesy of his uncle. So we dropped our stuff, got breakfast at a small bakery and headed to BMW Welt (Welt German for World). First stop BMW museum, then it was back to BMW welt for an executive tour. BMW world took my breath away. It was a great experience to take in what BMW is all about and the type of warm reception you can pay for to receive if you choose to pick up your BMW at BMW world in Munich. After a whole day of cars we walked around Olympic park and then went to find a place to eat in the Marienplatz (the main square). It ended up being a pricy but just what we needed Hard Rock Café affair. Totally German right?! The next day we went on Mike’s Bike tours. It was a great combo of history of the city of Munich and some great weather for riding. A visit to the English Gardens for some German sausage did lunch justice. Then we visited Allianz Arena (first match of 2006 World Cup in Munich was played there). Afterwards we met up with another group: Mariel, Layla, Allie, and Anthony for a nice traditional German dinner back in Marienplatz. The next morning was more memorable than BMW world. We visited Dachau concentration camp and toured the whole place. There is a lot of history and information there but due to us leaving early that afternoon we had to make it a quick walkthrough. Still the memory and the magnitude of what people went through still linger in back of my mind. It’s an eerie reminder of what happens when one person gets too much power. The phrase that comes to mind is “With great power comes great responsibility” Thus comes to a close my adventures in Germany. The Interlaken trip is still the one to beat. Munich made a commendable effort to nab the top spot. Stay tuned for more fellas! 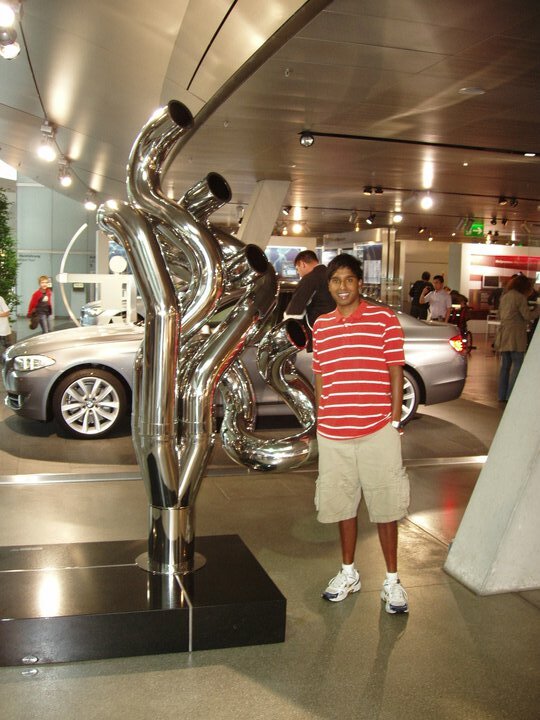 This is BMW World people! Where cars are worshipped and they make engines of that caliber as seen above. 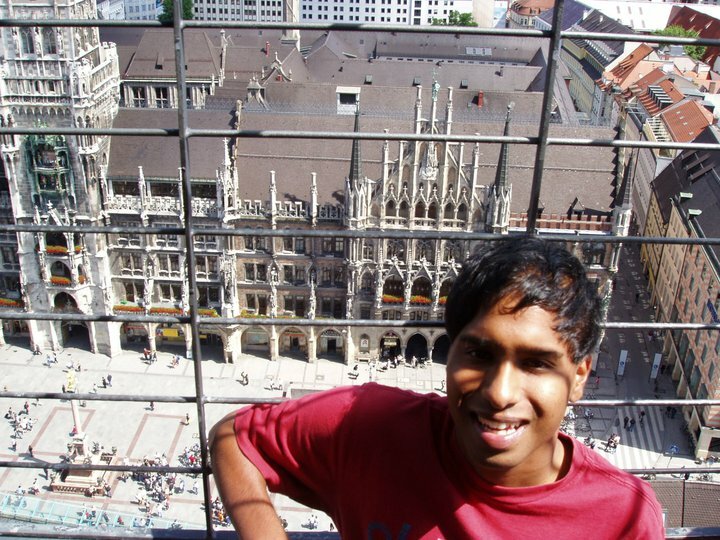 This is up a tower just behind the main thoroughfare that is called MarienPlatz. Posted by Emi Leonard in Travel Log. So I have returned to the U.S., and now I miss my many homes in Europe. After our program ended, Lexie and I took to the road (or the train tracks) and began our adventure. Posted by eranmordel in Travel Log. It is quite hard to believe that I’ve been in Europe for a little over two weeks! To think that I’m taking a semester of classes while traveling is a little mind-wrenching. I came here with no clue what to expect, and now I feel that even 11 weeks are not near enough to scale Europe — there is so much to see and do. 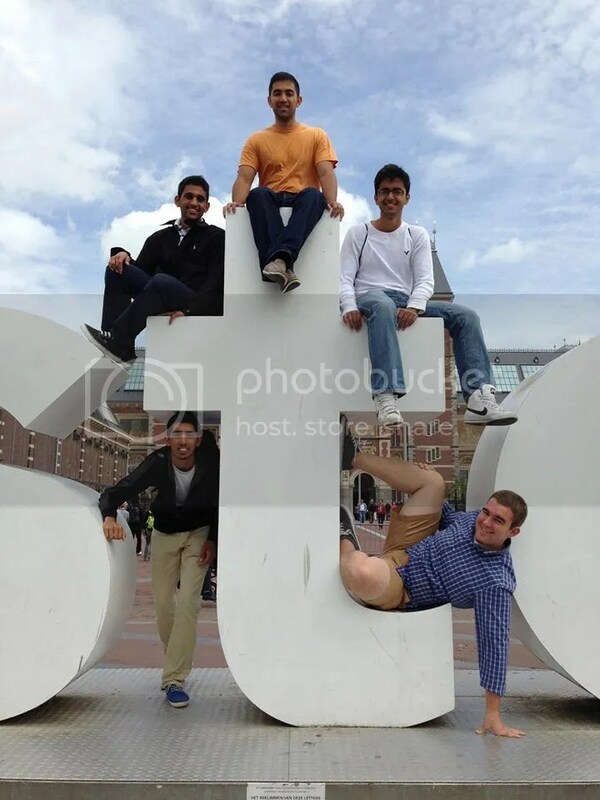 The real benefit of the program, beyond studying/living in a new environment and seeing Europe firsthand, is the people I meet and the depth of which I acquaint with them. Georgia Tech Lorraine provides the perfect balance of platforming an entire new mentality [of Europe] and keeping the comfort zone of Georgia Tech. I appreciate those I meet in restaurants, hostels, festivals, etc. and absolutely value my new/old friends with whom I travel.